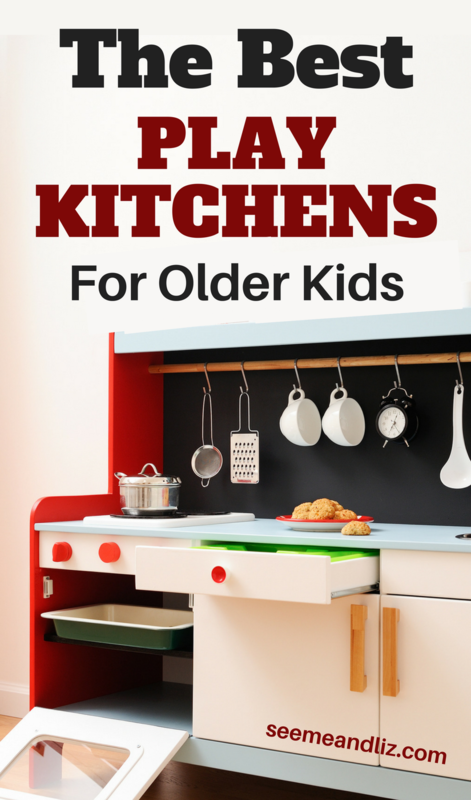 The Best Kitchen Sets For Older Kids You Need To Check Out! Seeme & Liz > Learning Toys (2-4 year olds) > The Best Kitchen Sets For Older Kids You Need To Check Out! Kitchen sets for older kids can be a challenge to find. Many kids kitchens are small or too toy like for an older child to enjoy. 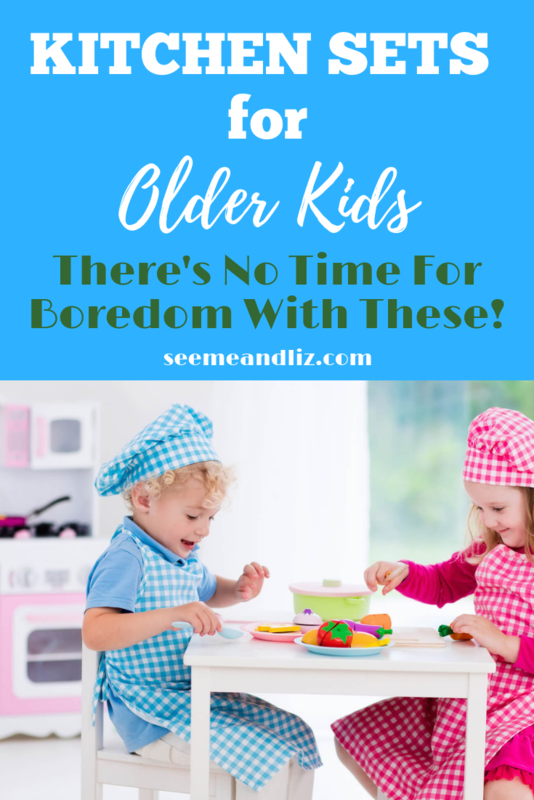 The kitchens in this article are still fine for a younger child (2+) so they work well if you have more than one child and are looking for something that all the children can play with together. To clarify, by older children I mean those between the ages of 4 and 8 as many kitchens are meant for children under the age of 4. I have selected these sets based on a few criteria including size, style and price (there are a few larger kitchens than these available, but they will be well over $400). A kitchen set for kids should not cost you an arm and a leg. Therefore, I am not featuring any kitchen that is over $300. For the pricier kitchens check out Pottery Barn Kids. They have some great styles and you can create your own kitchen set by purchasing individual pieces (i.e. stove/oven, sink, fridge/freezer). Please make sure to read the following articles for language development and learning tips with regards to these kitchens as I will not go into these details in this article. There are a few things I would like to point out with regards to these kitchens. Have an electric screwdriver/drill handy. Sometimes the pre-drilled holes do not match up correctly and you may have to make your own. There will be many stickers that need to be attached. This can be tedious and time consuming, so keep that in mind when you are setting aside assembly time (typically 90 minutes or more). Most plastic kitchens make sounds (e.g. turn knob on stove to hear water boiling, microwave buttons beep, etc. ), so you may need some batteries on hand. Again, have an electric screwdriver or drill handy as sometimes the holes don’t match up. Typically there aren’t any stickers to apply as decals are painted onto the wood. The wood kitchens I have selected are not necessarily eco-friendly (that is not the point of this article). They have been selected based on their size and appearance and as such would appeal to an older child. The wooden kitchens in this article are made of MDF and plastic. Most kitchens come with some accessories (food, utensils, pots/pans, etc.). However, some come with more than others. If you are looking for additional accessories I highly recommend the ones from Learning Resources or Melissa and Doug. This kitchen is also available in lavender, pink, red and espresso and is recommended for children up to 8 years old. It comes with a pot, a pan and two spatulas. Food will need to be purchased separately. The dimensions are 36 x 36 x 35.5 inches. This is not one of the largest kitchens, however the style of it makes it appealing for the 5+ crowd. My son told me he wishes we could replace our current kitchen with this one! All of the doors open and close and the knobs make clicking sounds when turned. This kitchen has a washer as well! However, the inside of the washer does not spin. But that’s not really a big deal as your child can just pretend that it does. Since this set isn’t as tall as some, you could always raise it up with some wood blocks. Keep in mind that the wood that this kitchen is made from is MDF, so you won’t be getting a solid wood kitchen. Now this is a gourmet kitchen! It’s dimensions are 36.4 x 50.8 x 47 inches. The center of the arch is about 43 inches tall. Since it is open at the top, taller children can still play with it. They will just have to bend down to get in. The manufacturer recommends this kitchen for children up to the age of 8. It also comes with a 103 piece accessory set, so you probably won’t need to purchase anything separately right away (or ever). This kitchen makes some sounds, for example, the microwave buttons beep and the knobs on the stove can be turned to make a sizzling or boiling water sound. A cordless phone is also included and the buttons make sounds as well. This kitchen makes cooking sounds and the play sink has a pullout sprayer. Included is a cordless play telephone and a 38 piece accessory set (plastic food, 2 baskets, pots/pans with lids, cutlery, etc.). There are 6 electronic features (aka, noise makers). These are the phone, a light above the sink (don’t worry, this one doesn’t make noise), a keypad for the oven, a keypad for microwave, a key pad for the refrigerator and the stove top makes frying and boiling noises when the pot and pan are placed on it. However, in order for the stove top noises to work, the pot and pan that came with this kitchen must be used. The dimensions are 19 x 35.5 x 52 inches with the tallest part (piece above the sink) being 43.5 inches. There is also a decent amount of storage space. This kitchen is quite a bit bigger than the one we have and my children still play with theirs from time to time. They are 9 and 11. Sometimes it’s used as a kitchen and others it’s a space to hide behind during a nerf gun war! This is another great kitchen from Step2. Step2 makes some wonderful play kitchens, so it’s difficult not to choose a few for each article I write about toy kitchens. The dimensions for this one are 44.50″ high (center), 12″ wide (front to back), 45″ long (side to side). It’s a great kitchen for parents with children between the toddler and early elementary school years. For those who are handy, you could try mounting some blocks underneath to raise it up even more! This set does comes with a set of dishes for two (two each; plates, bowls, utensils, cups and tea cups) a colander, pot and pan with lids, and serving utensils. It also comes with salt and pepper shakers and some condiment bottles. Food will need to be purchased separately. Assembly time shouldn’t be more than 2 to 3 hours. While this kitchen isn’t one of the largest – it’s about 4 feet tall, it is appealing to children ages 5 to 8+! Our play kitchen is a similar size to this one and my kids still play with it and they are 9 and 11 (although not as often as they used to). Children can practice responsibility with this kitchen as it comes with a recycling bin and pet area. It also has a white erase board which is perfect for making grocery lists. This kitchen set comes with a 41 piece accessory pack, however, there is not much food (a hamburger, corn, apple, lemon, watermelon and a slice of pizza). But you can purchase more food separately. There are many pretend play food packs to choose from! The picture frame is also customizable so your child can add their own 5 x 7 photo or work of art! This kitchen makes some sounds, but not in an over the top annoying way. One of the drawbacks to this kitchen is the assembly. Unfortunately not all of the the holes are pre-drilled, but if you have a hammer and screwdriver on hand it won’t be too difficult to make your own. This kitchen is one of the largest kids kitchen sets I have seen. It comes in at just over 4 feet tall and 6 feet long making it perfect for children 5+. It would still be fine for a younger child but will appeal to school aged children as well. Keep in mind that the counter height is only about 20 inches though. I love that it comes with a working oven light giving it an even more realistic feel. This is also the perfect kitchen if you have several children of varying ages as it is large enough to accommodate multiple children playing. 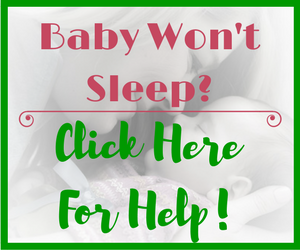 It would make a perfect addition to a home based daycare! This set also comes with a 78 piece accessory pack so you don’t have to order anything else! Make sure to set aside several hours to assemble this kitchen. It ships in 3 boxes! You will need to have 5 AA and 6 AAA batteries on hand as these are not included. Unfortunately there really aren’t many kitchen sets for older kids made specifically for children over the age of 5. It took me quite some digging and researching to find these 5 kitchens. 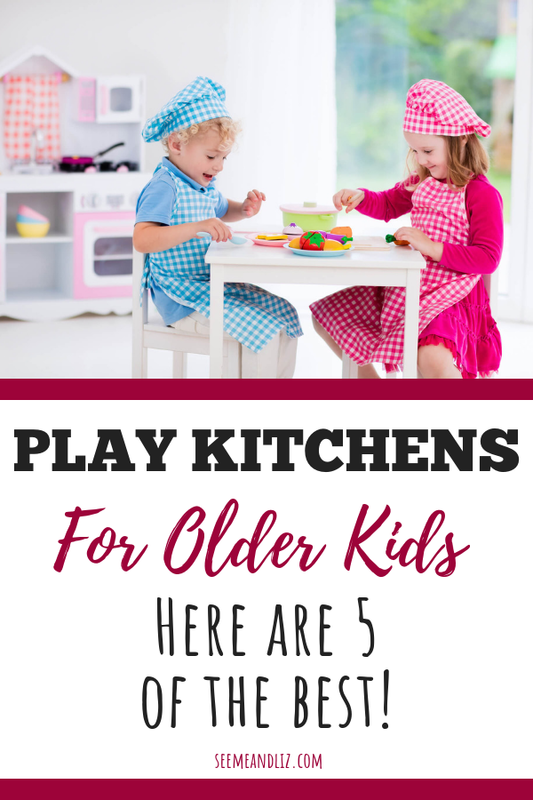 If your child is over the age of 5, has never had a play kitchen and you don’t want to spend a lot of money on a toy he/she might not play with (although, I assure you, most kids love play kitchens), then check out these cardboard kids kitchens! They are all under $75 and do not take up much space! I really like the wooden KidKraft Limited Edition Kitchen. The lime green color is so bright and happy. But for my kids, I would prefer a plastic one. They seem to get everything they touch dirty. I think that a plastic kitchen would be easier to maintain and keep clean. My kids don’t currently have a kitchen set. I’m sure they would love any of the ones you have mentioned! I am going to talk to my wife about this. It sounds like a great idea! Yes, the plastic kids kitchens tend to be able to take more abuse than the wooden ones. While the wooden ones can be easily wiped down, it’s also easier for a door to break off if the kids are quite rough. If your kids are a bit older then a wooden one should be fine! But whatever you decide to go with I’m sure your kids will love it! Thank you for sharing this information about kitchen sets for older children. 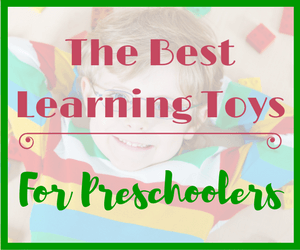 Children of all ages need these kinds of toys for their growth and development. But unfortunately kids often outgrow or get bored of toys quickly. 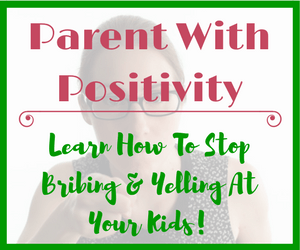 Your article highlights again the importance of maintaining children’s learning processes even after they have outgrown their earlier toys. There really aren’t many play kitchen sets tailored to children that are over 5 years old. I like the Lifestyle Deluxe Kitchen as children could also use it for their tactical development during hide and seek games as well! I’m definitely going to consider this as a Christmas gift for my 5 and 7 year old! Actually, play kitchens are one of the best toys because children do not outgrow them quickly. We got our daughter a fairly large kitchen for her 2nd birthday. She is now 11 and still plays with it from time to time. And like you said, as the kids get older they can use their imaginations to come up with other uses for some of these toys. My kids have used their kitchen to hide from being ambushed by nerf gun bullets! I think this kitchen would work well for your son. I like that it is height adjustable! 42 inches is a fairly standard height for play kitchens but there are many that are smaller than this. Make sure to get a play kitchen accessory pack that includes some food items as it doesn’t look like this kitchen comes with any. You might always find some other ideas for play kitchens for older children in this article I wrote. I was wondering if you could recommend a play kitchen set for me. I’m looking for something sturdy it can plastic or wooden. It’s for my specia needs classroom. I want it to either be long, or tall so multiple kids can play. My students range from k-5th so look, and height is some what important. For a classroom setting I would recommend the Childcraft brand of kids play kitchens. These kitchens are very durable and can be found in many classrooms around North America. Unfortunately as I mentioned in my article it can be quite challenging to find play kitchens suitable for older children. However, my 10.5 year old daughter still plays with the plastic Little Tikes kitchen she got for her 2nd birthday! So, older or taller children could just kneel down while playing. Another great resource for children with special needs is National Autism Resources. 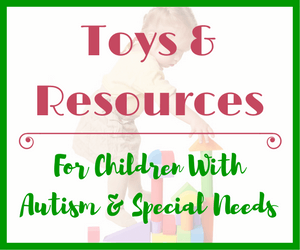 National Autism Resources is the leading online resource for information, advice, toys, gifts, educational products and more for children with Autism and other developmental delays. But they don’t have any play kitchens other than a small KidKraft one (it’s a great one, but might not be ideal for a special needs classroom as it is on the small side and made of MDF so probably better for home use). Any of the kitchens I mentioned in the article should word. You could also try the tip of adding some blocks under the kitchen to raise it up. I did find this newer play kitchen by Step2 called the Elegant Edge Play Kitchen. It is quite large and should work well with 2 older children. Unfortunately there aren’t any kitchen playsets that are specifically designed for children 6+. Most seem to be made with kids 3 to 8 in mind. I have a 7 year old and a 9 year old. They would both play with one but I’m looking for one mainly for my 7 year old. I’m on disability so I don’t want to pay ridiculous prices but I need to get one that will hold up. She has ADHD and it would be so much easier and safer if she had her own kitchen and didn’t play in mine. I think that the Teamson Kids Wonderland Ariel 2 in 1 dollhouse and kitchen would be a good fit for your daughter. The price is quite heavily reduced right now as well! I love that it is both a dollhouse and a kitchen so it is two great toys in one. Another option would be to look for a used play kitchen on a site such as Craiglist or Kijiji. Good luck and I hope that you will find something to fit your budget! Each of the kitchen set you featured are beautiful, I would have a hard time choosing one for my kids. Thanks for your comment. Pretend play is crucial to a child’s development as you mentioned. It is also important for parents to take a step back (especially with children over age 3) and let their child explore and discover new things on their own. These kitchen sets will do just that! Hours of pretend play while the child is learning. And older kids can benefit from pretend play as much as younger ones. This is very helpful indeed. My 2 year old daughter currently has a plastic kitchen, but my fiance and I were looking into getting a wooden kitchen. After seeing this great review I feel that the wooden kitchen would be a great choice. My daughter loves to put stickers on her kitchen we have now and to be honest it has made the kitchen look terrible lol. Thank you again for this. Wooden play kitchens do look much nicer than plastic ones and are a good choice if you don’t have a closed off okay area. I personally love the KidKraft wooden kitchens and the Melissa and Doug one that I mentioned in the article. Keep in mind these are not solid wood and you can run into issues with screw holes not matching up. But it’s an easy fix. Good luck and I hope you find something that both you and your daughter will love! Wow. I think my kid would have love any of these. I brought him to Hamley once and he spent hours playing those kitchen sets. I think those that comes with the accessories are value for money. I wouldn’t want to order the accessories separately. It will be quite a hassle, wouldn’t it? Yes Kenny, all of these kitchen sets would be loved by all children. There are so many play kitchen accessories available online that it really isn’t too much of a hassle to order some. Especially if you are going to be ordering the kitchen online. Unfortunately the kitchens that do have accessories, don’t have a great selection, so chances are you will end up purchasing some a few months down the road. A wonderful way to introduce kids to cooking in a safe (albeit noisy,) environment. Small children love to copy adults in the kitchen and kitchens can be dangerous places. These kitchens make the whole thing exciting but safe. These kitchens being made of wood makes them more robust and toddler-proof. Pity more modern toys were not made of wood instead of flimsy plastic. Thanks for the hard work researching that you have obviously done. The wood kitchens are definitely nicer to look at from an aesthetic standpoint, however not all are top of the line quality. I did make sure to mention that in the article. We have a plastic kids kitchen set and it has taken quite a beating in the 8 years we have had it. And it’s still going strong. But a play kitchen is a play kitchen so you need to go with what will work for you in your home and your budget! SeeMe looks just like my older son’s Lovey! I LOVE these kitchens. I took my son with me to pick up his birthday cake, and the bakery had a kid’s kitchen set up in one corner that he started playing with and he didn’t want to leave for his party! Then there was another one at a children’s museum we visited while on vacation. I think this is definitely going on the Christmas list this year! That’s funny that your son has a Seeme look alike. 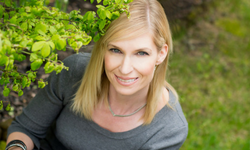 Did you have a chance to ready my other play kitchen articles? If not you should check them out. I share some great tips about how a play kitchen can be used to facilitate language development and learning. 10 Things You Need To Know About Kids Toy Kitchens! I have to admit, this is probably one of the coolest things I have seen. Last year my 3 year old son asked for a kitchen for his birthday. My wife got him one from Walmart, needless to say, it didn’t last very long. He has been asking for another one but I didn’t want to spend $60 on a plastic one that would just become broken in just a few months. These have really given me some ideas! I’m really liking the look of the wooden ones. Most of our house is earth tone colors (i.e. woods, greens, browns, etc.) so they would go perfect! Thank you for the great write up and description of each! Sorry to hear that your son’s plastic kitchen set didn’t last long. I am not sure what brand it was but ours is a Little Tikes kitchen and it is now 8 years old. It has been climbed over, pushed down and very well loved. The faucet has broken off and the ice cube maker isn’t working properly. Other than that it’s still going strong! But I agree with you, the wooden play kitchens are very stylish and if the kitchen won’t be hidden away in a playroom, it could be the way to go. The KidKraft kitchens are all very versatile and come in many different colors, from neutrals to lime green and hot pink. They are all made of wood with some plastic finishes. Make sure to read The 5 Best Kids Play Kitchens: They Will All Encourage Language and Learning! and 10 Things You Need To Know About Kids Toy Kitchens! for some ideas for language skill development! I really like that wood play kitchen! Most of our home has things like reclaimed wood furniture so it would match perfectly. It looks so good just for kids I might want to do this to my actual kitchen! Do you find that children get splinters from the wood or is it pretty durable? Thanks for the insights! Thanks for your comment. As I mentioned in the article, we have a plastic kids kitchen. However, we did have a KidKraft Wooden Playhouse. It was always outside and there were never any issues with splinters, despite being exposed to the weather. I hope this helps. Glad to see that these things are still going strong as they are a great reminder of how much fun kids can have even when they are just mimicking everyday type actions. Thanks for your comment Alec. 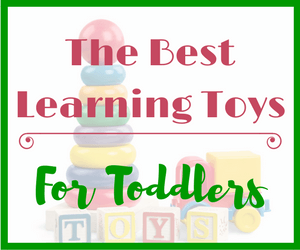 There are some toys that will always be popular! Classic toys such as kids play kitchens are much better from a language development and learning perspective than many of the new electronic “learning” toys that just make a lot of noise. Wow Tanya I so love these kitchens!! My daughter is about to turn 3 do you think she would be the right age for a play kitchen? My sons are 4 and 6 so I think it really would get a lot of use in our house. My only concern is the size of these deluxe models. Are there some smaller ones? 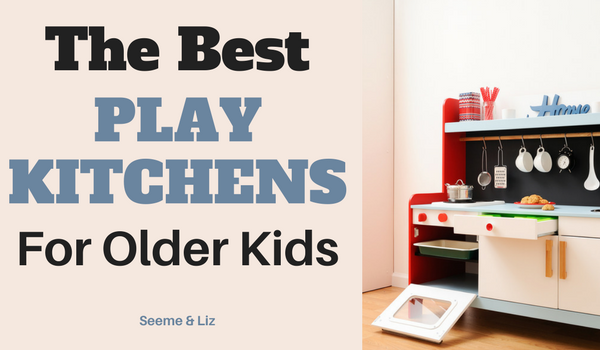 3 is the perfect age to get a play kitchen. And your 4 and 6 year old should still enjoy playing with it as well. We got our kids kitchen set when my daughter was 2 (she’s almost 9 now) and both kids still play with it regularly. Check out these two articles. I am sure they will have more of the kinds of kitchens that you are looking for. Hi. Great information on play kitchens. I have a 6 year old, a 3 year old and a 1.5 year old. We have had our kitchen, a Step 2 Gourmet Kitchen, for almost 5 years now. I am looking to upgrade and I am glad you featured kitchens that are good for older kids. All 3 of mine still love to play with ours but it is getting a bit beat up. They have managed to chew through about half of the play food that came with it. I am thrilled to hear your kids love the play kitchen so much that are are still playing with it (and it’s 5 years old). Sounds like your play food looks a lot like mine. I ended up replacing a lot of the plastic food with wooden food from Melissa and Doug! Although they can still leave some nice bit marks on the wooden food.